He’s FINALLY here!!! The King of Monsters - GODZILLA!!! To say that this has been a LONG time in coming would be an understatement! Godzilla, or Gojira [his real name derived from the Japanese words for gorilla (gorira) and whale (kujira)] made his first appearance back in 1954 when Ishirō Honda's original greeted us from the murky depths and survived for 28 additional movies (and four American productions that includes the latest in theaters today). Staring two of our favorite actors, Bryan Cranston and Ken Watanabe, the flick will tie both the old with the new to usher in a new era for the legendary creature. Check out the trailer below! 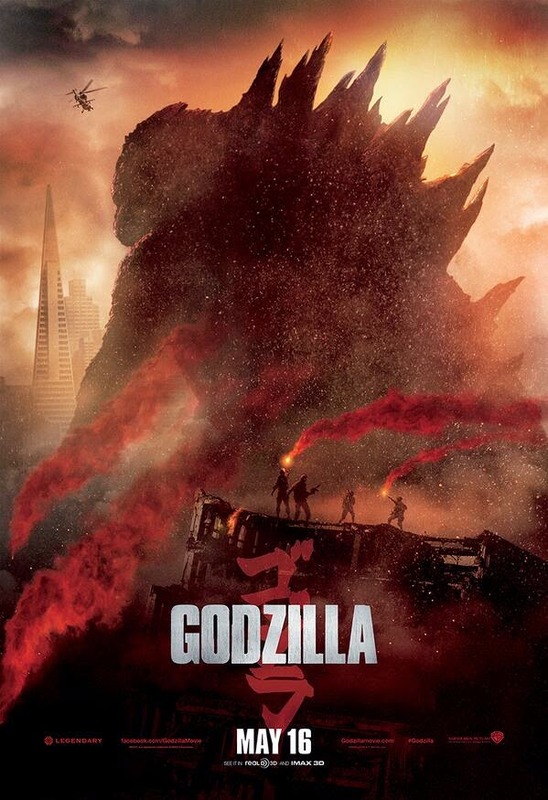 With the atomic bombings of Hiroshima and Nagasaki still fresh in the minds of the Japanese, Godzilla became a metaphor for nuclear weapons and the cautionary tale of the effects that these weapons would have on the world. The original movie, released by Toho Company, LTD was ultimately adapted for American audiences and featured newly edited scenes with the original Ironside, Raymond Burr. After it’s commercial success it became a runaway train spawning more of the great monsters - Gamera, Gorgo, King Ghidorah, Mothra, and Rodan. Godzilla has gone through many incarnations of the decades from movies, to comics, cartoons, and attempted reboots with one of the more infamous being the sad attempt at ‘reimagining’ the creature in the Roland Emmerich version back in 1998 where the King became more of a lizard than the monster he was ment to be. Now with Gareth Edwards (Monsters) at the helm, this new Godzilla will finally bring him back to all his original glory - yes, the king is back! The gang from Pittsburgh Underground will be experiencing it the ONLY way that a real fan would - IMAX 3D!!! Yippieee!!!! Godzilla starts today at your local theater.